- Team won 1st prize and cash prize of Rs 10,000 in ‘ROBOTECH’ in the IETEC'18 which is one of the most prestigious events held annually in University of Engineering and Technology, KSK. 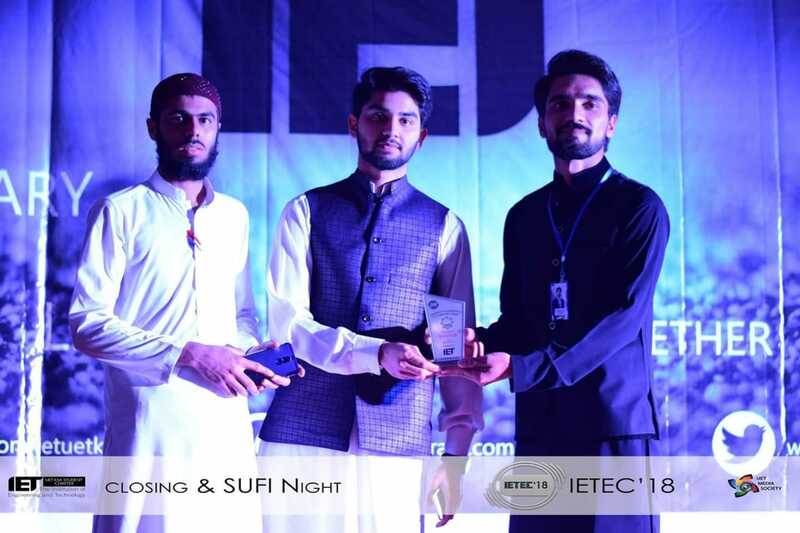 - Electrical Engineering students won 1st prize with cash prize of Rs 3,000 in ‘Speed Wiring’ and also achieved 2nd prize in ‘ROBORACE’ in the IEEE Week'18 which is the renowned event held annually in the FAST-NUCES, Lahore. 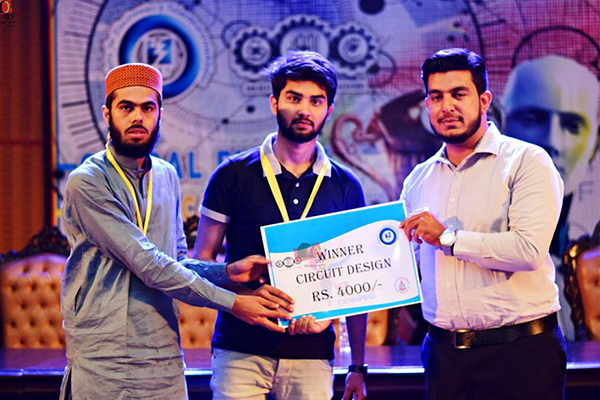 - Team won 1st prize and cash prize of Rs 4,000 in ‘Circuit Debugging’ in the UCP Olympaid'18 which is one of the most prestigious events held annually in the UCP, Lahore. It is worth mentioning that more than 20 universities from all over Pakistan participated in these events to show their talents but UMT students’ performance was exceptional among all the universities. Two brightest students of the Electrical Engineering Department Zain ul Abideen and Zahid Mehmood participated in the events under the guidance of faculty members Hassan Tariq and M Bilal Anwar.